Join SSF today! Get free swapits, make new friends, advertise your items and even bet in the sports! do you have a post worth Sticking? 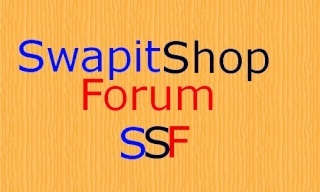 Want to buy anything from swapitshop? Post it here and see if anyone else has it! Post what you will swap here and see if anyone will make you an offer! you got anything on swapitshop now? Got any homework from school and need help? or having any problems at school? Wheel and deal with your tokens here! Got any sigs you made and want to show it off? or you want one made for you?